Drag and drop the answers. What math include. 10 mathematical branches to know. 2 grade math test for difference of double numbers. Interactive algebraic systems with human biology cells. with easy arithmetic for 1-2 grade. 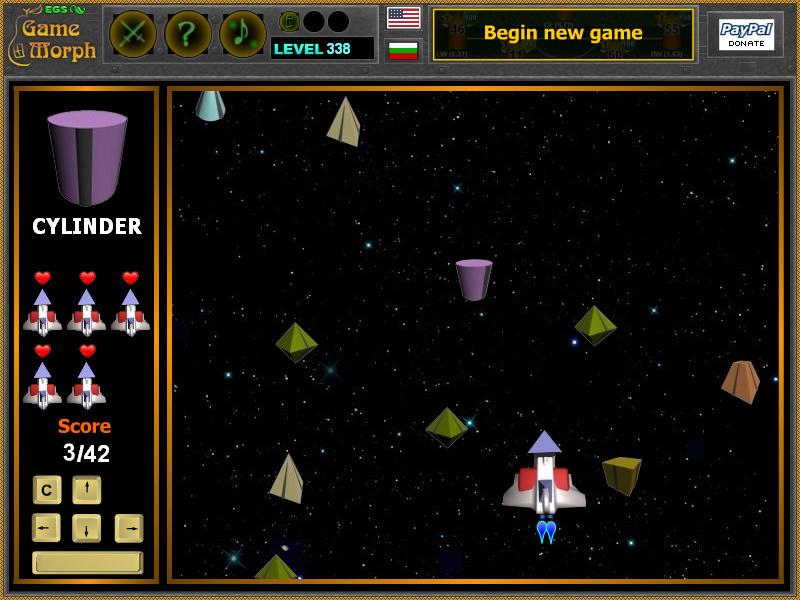 Free online learning games about mathematics. Math games to learn and practice mathematics. More than 35 online games, related to different mathematical subjects that may be used for fun, interactive education and examination. The math knowledge games are small flash games, up to 1 MB, which include interesting activities to teach multiplication, fractions, addition, number sense, geometry, algebra, problem solving, counting, coordination and observation skills. Fun math games and knowledge boards about algebra, geometry and other math appliance, like percentages, programming and statistics. The math learning games are suitable tools for education, examination, references and recreation. They may be played in schools, at home, in classes. Fun math games online. Minute to win it games. Cool math games. 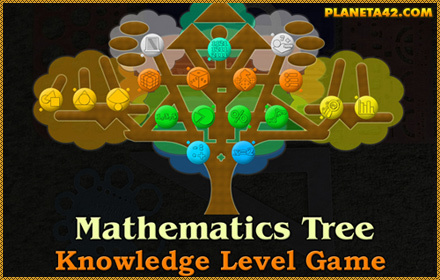 Math Tree Game - Sort the mathematics branches on the tree of knowledge. Multiplication Table Puzzle - Sort the numbers by color on the multiplication table. Math Football - Solve equations with one unknown on the footbal field. Fun math quiz 2 grade. 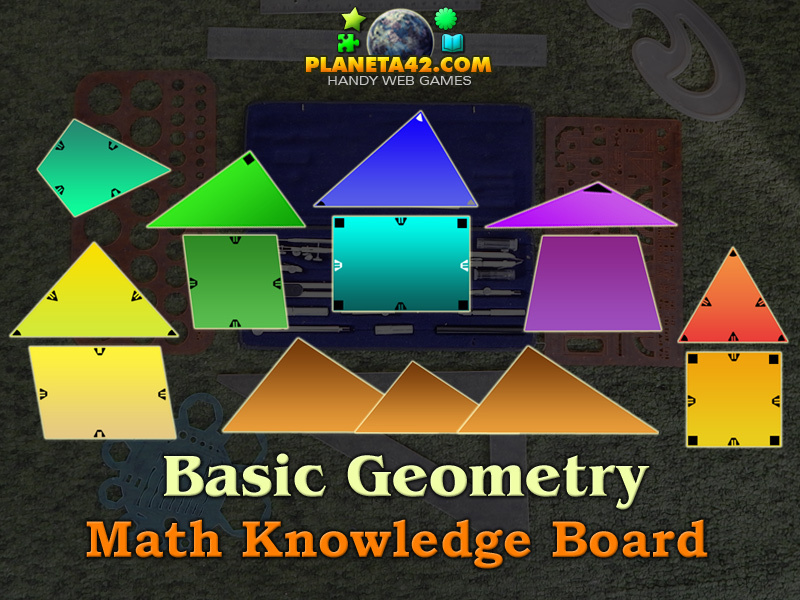 Basic Geometry - Identify the most basic geometric figures by name. Arithmetics Exercise - Find the correct answer in the hexagonal patterns. Statistics - Complete the formulas for basic statistical equations. Addition Quest - Walk trough the fantasy lands using your ability to count. Percentages - Find out where percentage are used. Gems Multiplication Table - Collect colorful gems to fill the multiplication table numbers. 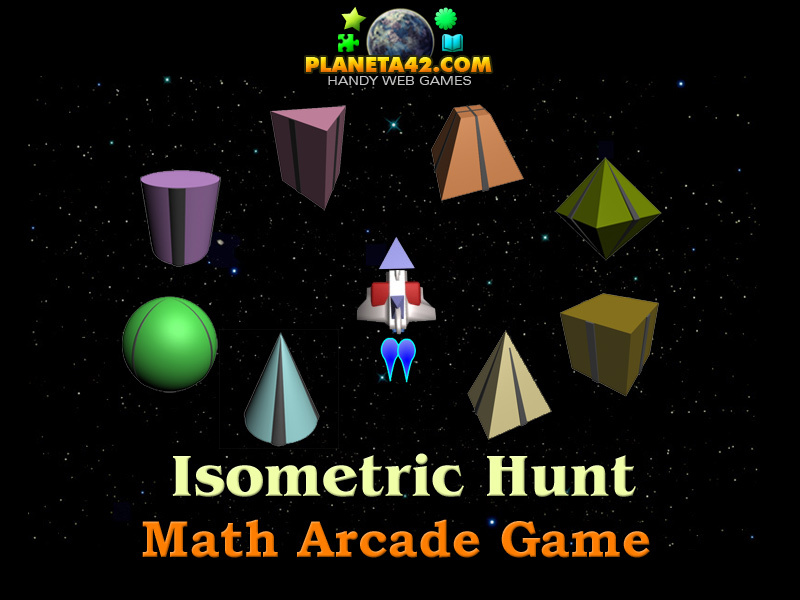 Isometric Hunt - Find, collect and learn the isometric figures. Random Walk - Fun game to explore and predict Brownian motion. Virtual Dice - Online dice results. 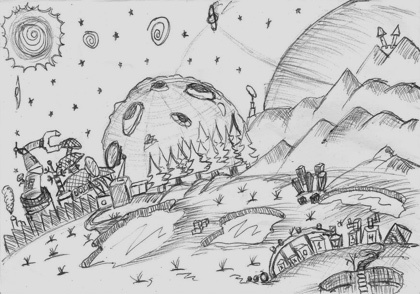 Here is one of many. Pi Puzzle - Sort out the 9 digits after 3.14 in correct order. Averages Calculator - Find and calculate average value for different statistics. Circle Calculator - Find and calculate radius, circumference and diameter by one known value. Lottery Generator - Generate 5 random number and calculate winning period for 5/35 lottery. Math Test for 1 Grade - Sum of two numbers from 0 to 10. Math Test 2 for 1 Grade - Difference of two single numbers. Subtraction from 0 to 10. Math Test for 2 Grade - Sum of two double numbers. Addition from 0 to 100. Math Test 2 for 2 Grade - Difference of two double numbers. Subtraction from 0 to 100. Math Test for 3 Grade - Multiplier of two single numbers. Multiplication from 0 to 10. Math Fruits - Find the missing number in the last line of the combinational fruits equations. Math Flowers - Interactive algebraic systems with 9 lovely flowers. Math Birds - Solve the combinational equations using math and logic skills. Math Drinks - Fun math test with pictures of drinks that have 3 unknown values. Math Moons - Find the missing number of the combinational equations with 3 unknown values. Math Cells - Interactive math worksheet with biology cells to solve algebraic equations. Math Compounds - Mathematical quiz with pictures of popular chemical compounds. Math Dinosaurs - Find the missing number in the last line of the dinosaurs equations. Math Flags - Solve the popular algebraic equations using math and logic skills. Math Foods - What is the sum of the foods in the last line of the algebraic system equation? Math Planets - Interactive math worksheet with the planets of the Solar System. Math Computers - What is the sum of the PC components in the last line of the equation? Math Cars - Interactive math worksheet with pictures of automobiles. Math Sports - Fun math quiz with pictures of sport balls and sport equipment. Math Money - What is the sum of the banknotes in the last line of the system equations? P42 Math School. Fun Interactive Mathematics. P42 Math School is a free online education web site with cool math games, tests and puzzles played online in the web browser and including interactive lessons and exercises about mathematics. Every lesson is a small game and all games are free and runs on medium class computers, tablet and laptops, with installed flash player. Like all Planeta 42 knowledge level games, when completed, the math games and tests reward +1 Knowledge Level. Prepare for early and secondary degree in math with fun educational games, suitable for e-learning, online lessons and interactive classes. 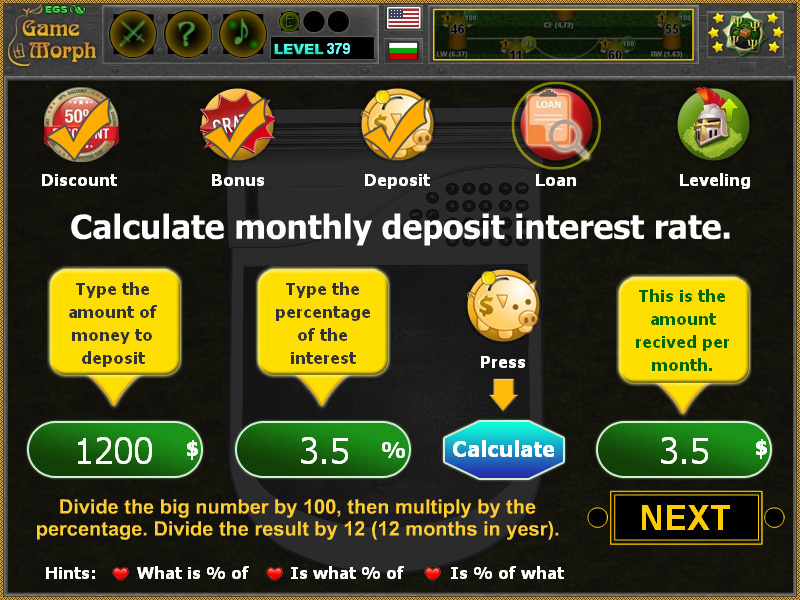 The collectible math games (download versions), goes with build in player, but the levels are not saved in the website. Educational Multimedia Mathematics for kids and students. Free to play and download without registration. Math Puzzles - This collection includes pictures, collages and diagrams about interesting studies and applicatios of mathematics. Drag and drop numbers to solve math problems. Math Arcades - This collection includes fun math games played with the keyboard and require some skills to memorise math knowledge. Math Adventures - This collection includes exciting step by step adventures, while solving different tasks for addition, subtraction, multiplication and division. Classroom Games - This collection include fun math games suitable for interactive lesson and classroom exercises, designed to be used in math classes. Interactive Math Worksheets - This collection include popular combinatorial algebraic systems with various types of objects to train and exercise math and logic. Images of combinational equations with 3 unknowns. 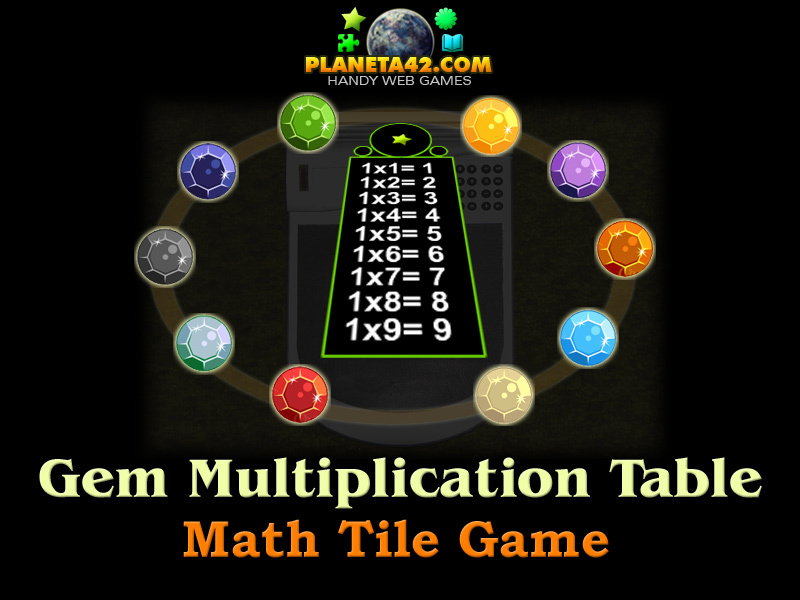 Multiplication Games - This collection includes all math games, tests and puzzles to study and practice multiplication and memorizing the multiplication table using interaction. 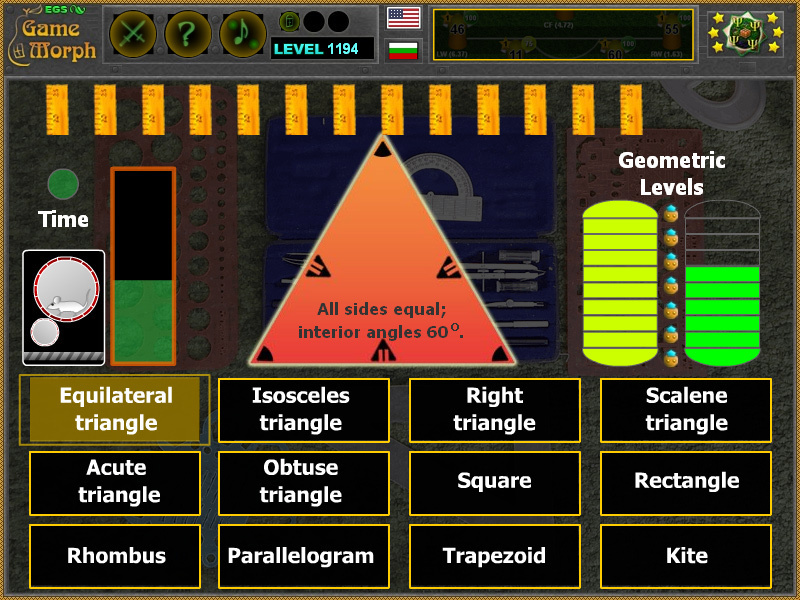 Geometry Games - This collection includes all math games, tests and puzzles to explore and learn geometry, shapes and figures properties. Calculators - This collection include online calculators, generators and converters to make math easier and funnier. Probability Games - This collection includes simple math games and apps to learn and observe probability and chances. Math Tests - This collection includes questions and answers tests for evaluating pupils and students in math classes. Math Games for Kids - This collection include all math educational games suitable for kids and pupils in 4-8 grade. Interactive Math for Kids. Math Games for Students - This collection include all math educational games for 9 grade and above, suitable for students and adults. Interactive Math for Students. The Fun Interactive Mathematics website includes: fun math games to play, cool math games online, math games for kids, unblocked math games, educational math games, math tests and more than 35 online games, related to different mathematical subjects that may be used for fun, interactive education and examination. 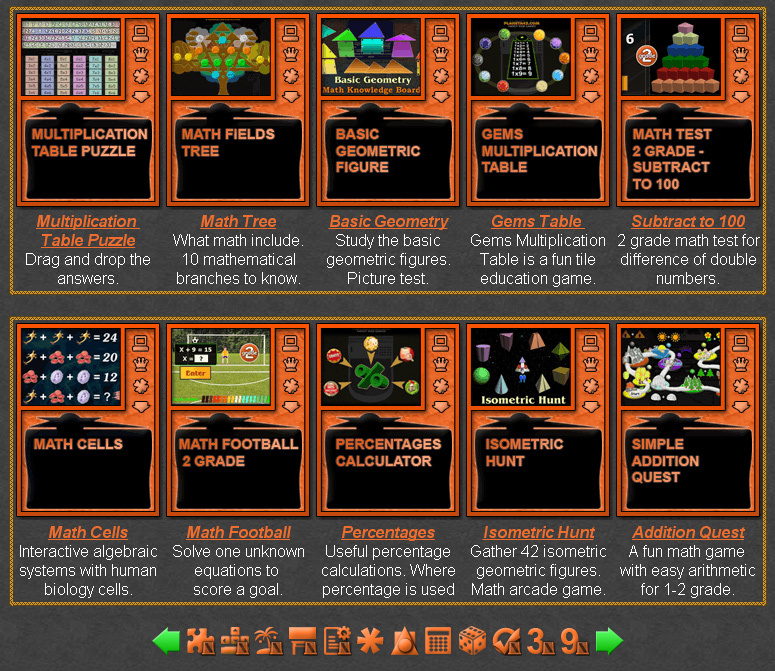 Here is the blog with the Exciting Collection of Math Games.